My daughter was about to turn 6, and I had been trying to come up with a fun and original birthday party idea that wouldn’t break the bank. 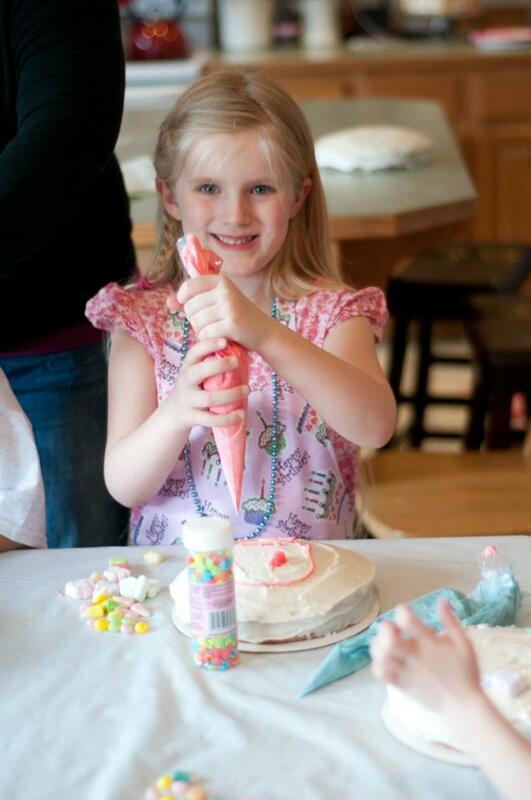 Being a huge fan of home birthday parties (because who can afford to rent out a space when you have 4 kids?! 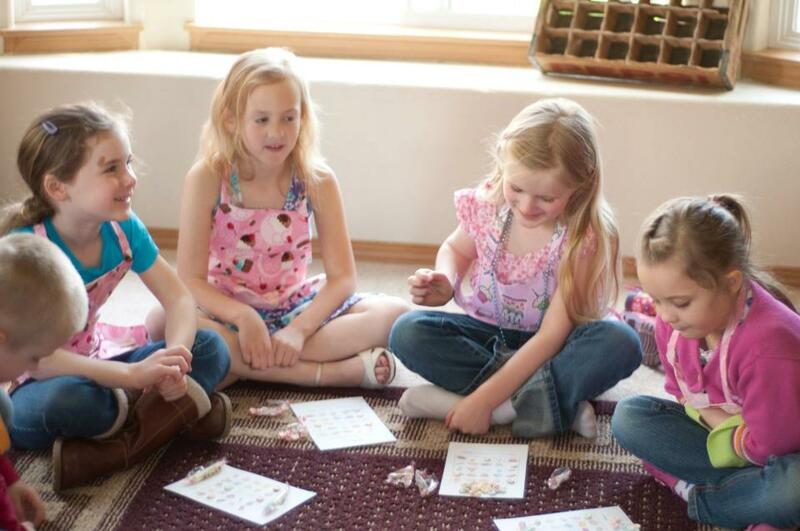 ), I wanted to create a party that would allow the kids to be creative, have fun, and come home with something far better than a traditional goodie bag. 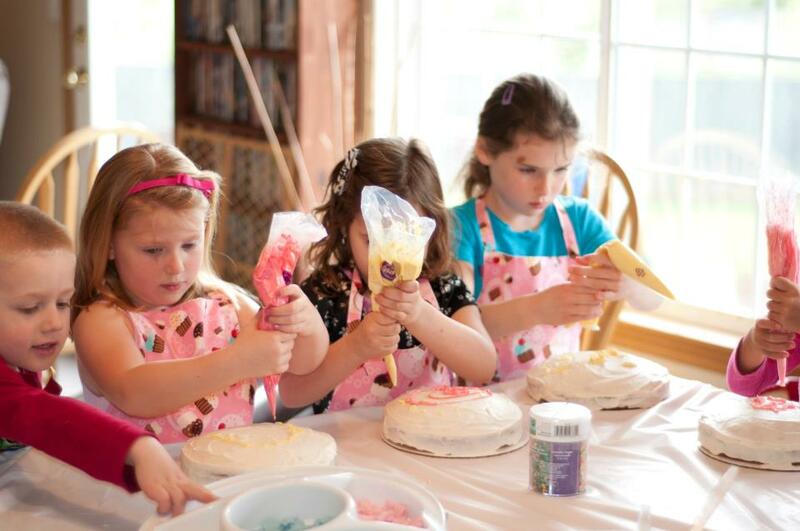 We decided on a “Bake Shoppe” Birthday! 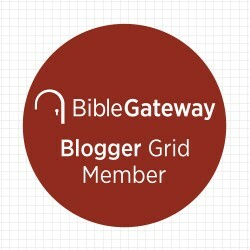 It was really easy and cost effective to put together, and all of the kids LOVED it! I started by baking up 7 cake mixes. I baked the cakes in 8 inch round pans, and then frosted the cakes with marshmallow buttercream. 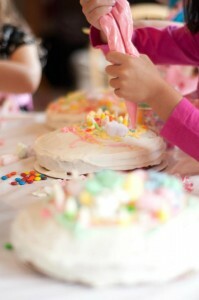 Each child received 1 8 inch round to decorate. 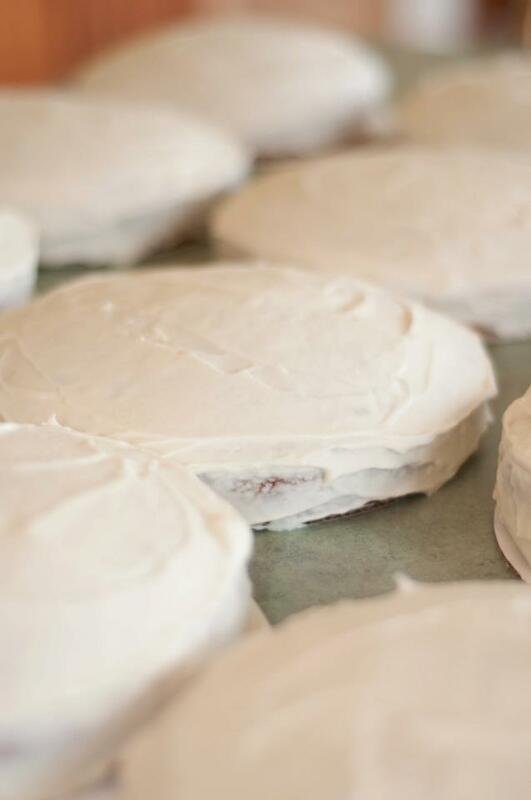 I frosted the cakes the day before the party to allow the white frosting base to harden just a bit. This helped cut down on mess, and gave the kids a nice blank canvas to decorate. 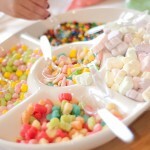 I collected a variety of fun candies for the kids to use to decorate their cakes. We had jelly beans, candy corn, marshmallows, gummies, and M&Ms. 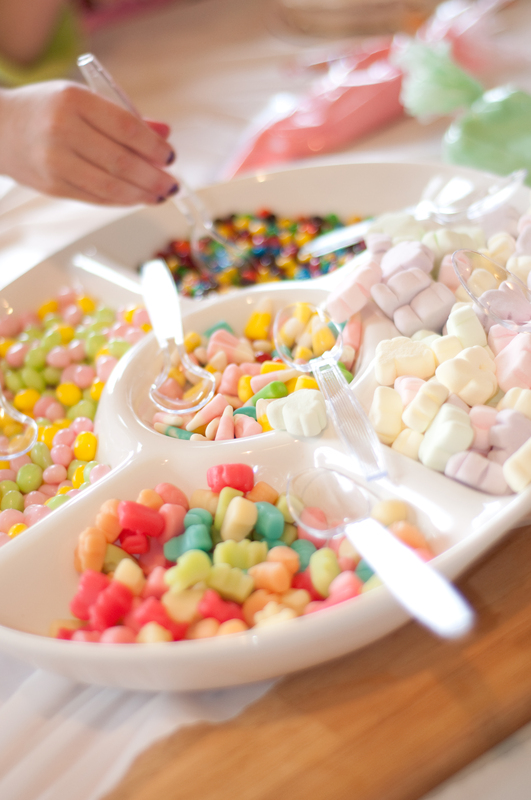 I placed the platter with the candies in the center of the table, allowing the kids to share. 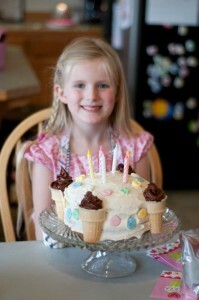 The kids were so very proud of their finished cakes, and really enjoyed being creative with the frosting and toppings. 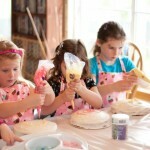 I loved getting the kids “in the kitchen” and allowing them to play and have fun. Here is my daughter’s finished cake. We went to a local bakery, and purchased a dozen of their pink cake boxes for $0.50 each. 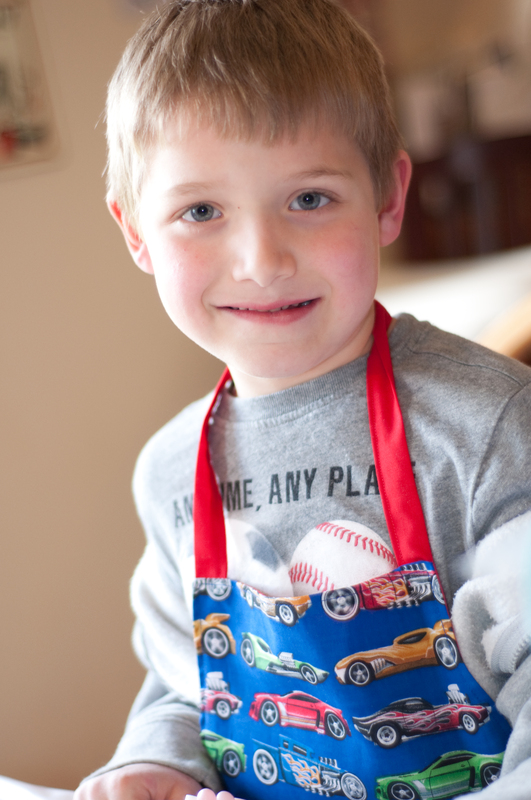 Instead of a bag full of cheap little trinkets, the kids took their cake home, along with an adorable apron. 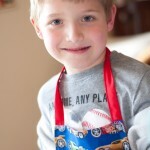 The girls had matching pink cupcake aprons, and we made sure to make more “boyish” Hot Wheels aprons for the boys! 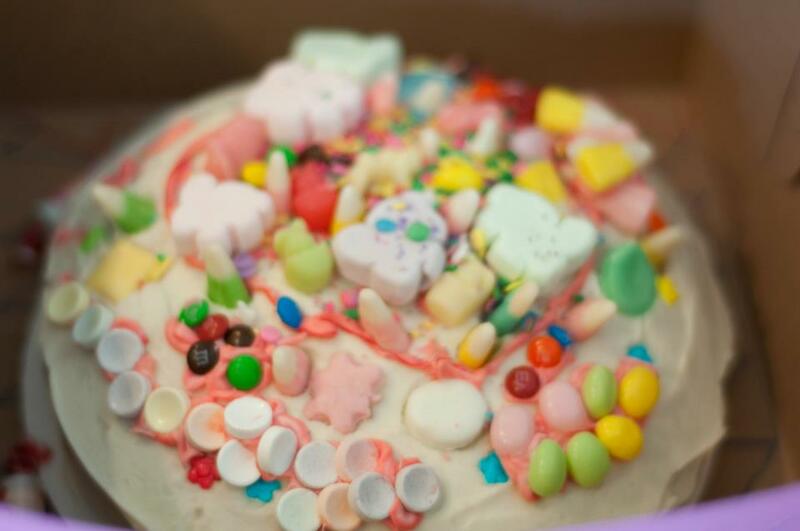 After decorating the cakes, we played Sweet Shoppe Bingo, using smarties for markers. The kids LOVED it! We played the game a few times,as they enjoyed it so much. 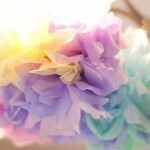 I decorated using tissue paper pom-poms. 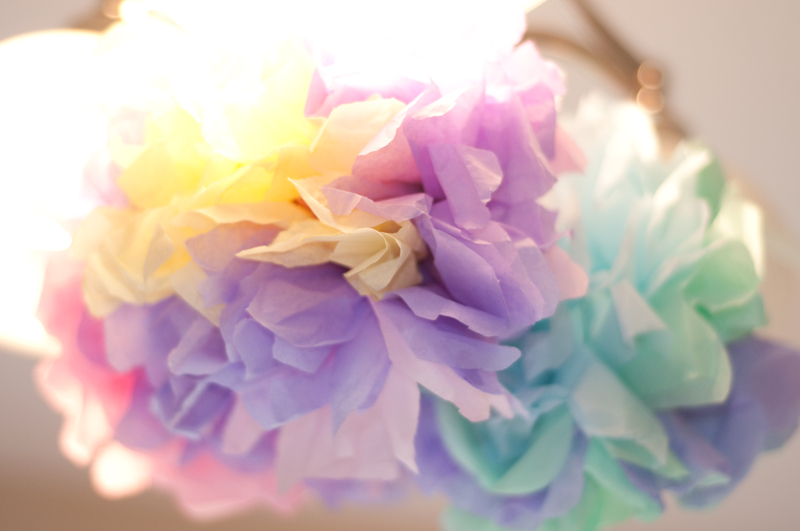 They were really cute and simple to make. These are still hanging up in my daughter’s room…18 months later! 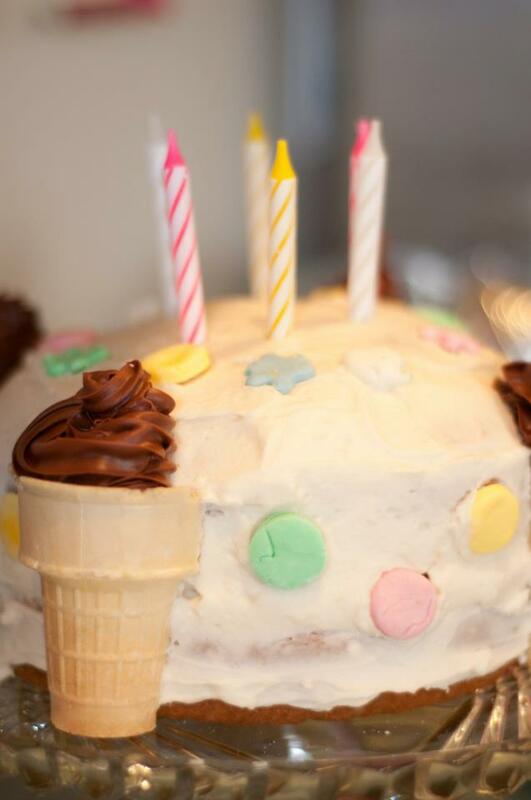 We sang happy birthday to the birthday girl, and then had a slice of her birthday cake, that I decorated using marshmallow buttercream, some marshmallow fondant cut-outs, and ice cream cone decorations. 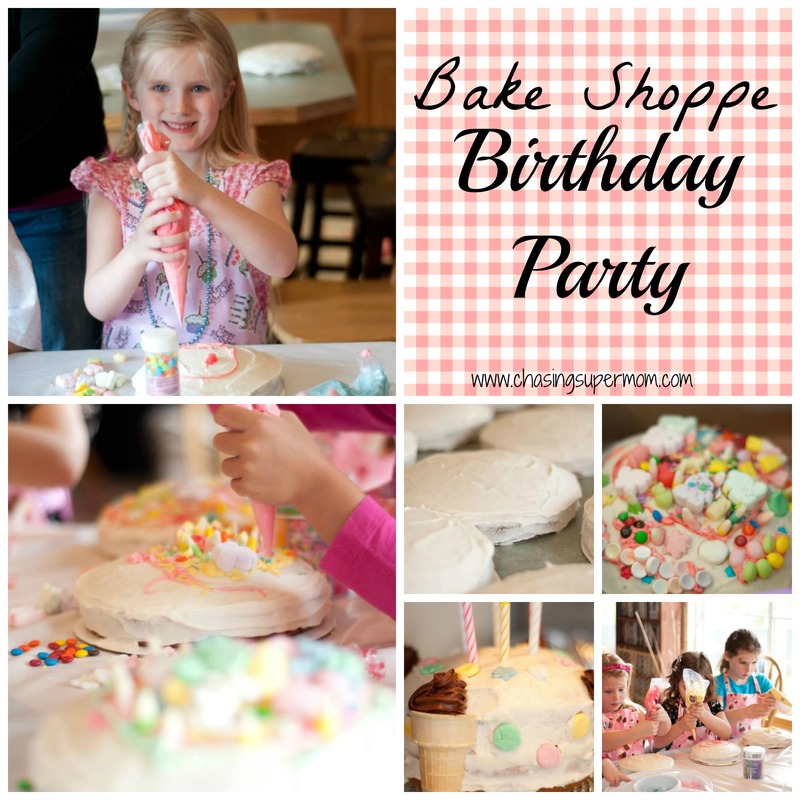 Have fun creating a bake shoppe birthday of your own for the special girl in your life. Hannah had a wonderful 6th birthday! 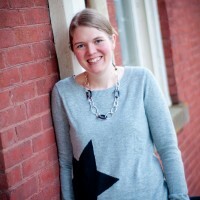 Happy birthday, and happy baking!